The idea of living in a high-rise condo in downtown Tokyo makes for a nice daydream. Between the high cost of housing and the inescapable hustle and bustle of Japan’s capital, though, when it comes time to actually pick a home, many people decide they’d rather live in one of Japan’s other cities, or one of Tokyo’s suburbs at least. Underlining this trend are the results of a survey by newly formed magazine Aene which asked Japanese housewives which town they’d be happiest living in. Central Tokyo failed to crack the top 10, although the number-one pick isn’t too far away from the capital. As part of the survey, Aene created a set of parameters it dubbed Happy Quality, which evaluated the towns based on their family-friendliness, economic factors, food and health conditions, access to entertainment, and overall convenience of daily life. Perhaps as a result of focusing on the opinions of people who don’t work outside the home, only five of the top 10 were rated as having local economic conditions above the survey average. On the other hand, all of the highest-rated towns performed extremely well in the other four categories, with study participants showing a particular fondness for areas with parks or other natural environments, good schools, and historical significance. When asked what specifically was indicative of a convenient place to live, the second-most common response was proximity to a train or subway station, which was given by 28.9 percent of the women in the study. Far surpassing this, though, was the 47.8 percent who answered that what they really wanted was a large mall, supermarket, or shopping street. So, which towns in Japan ranked the highest in the survey? Let’s start with number 10. Respondents were impressed by the kind and friendly attitude of Hiroshima’s citizens. Being the prefectural capital means it’s a developed city, but not nearly as crowded as Tokyo. The first of two towns on the island of Shikoku to make the list, Nihama offers both job opportunities with local industry and proximity to the Inland Sea and its delicious seafood. 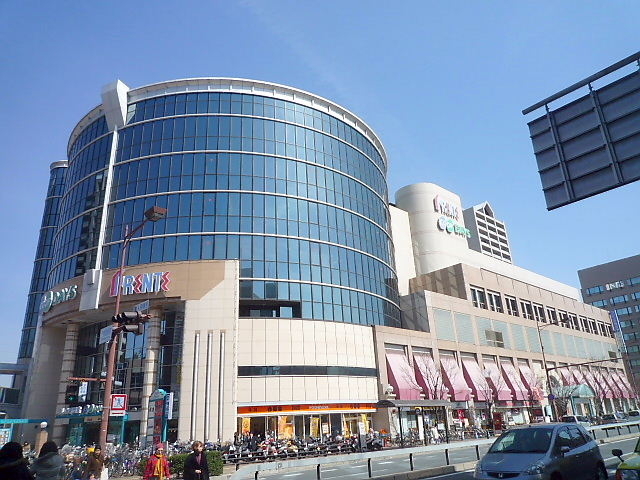 Moriya’s Happy Quality was balanced across the five criteria, with special mention given to its modern shopping facilities. Ikoma is essentially a suburb of Nara City, being just 30 minutes away by train. Its high ranking was due in no small part to its proximity to the many culturally and historically important temples of Japan’s former capital. One of the most populous cities in the top 10, Fukuoka got a boost from its local food scene which includes delicacies such as spicy cod roe, hot-pot, and pork stock ramen. Back in Ehime again, living in the relatively cozy prefectural capital still provides for a laid-back lifestyle, plus proximity to some of Japan’s best citrus fruit and one of its oldest hot springs, Dogo Onsen. Technically still part of Tokyo, Mitaka lies outside the metropolis’ 23 main wards. Easy access to central Tokyo, the lush greenery of Inokashira Park, and the nearby Ghibli Museum all contribute to Mitaka’s elegant and sophisticated vibe. Situated between the much larger cities of Kobe and Osaka, Nishinomiya lets residents enjoy the fantastic food of each, including Kobe beef, takoyaki, kushi katsu, and the wonders of Kobe’s Chinatown. It’s also the home of Koshien, Japan’s most storied baseball stadium that hosts both Osaka’s professional team, the Hanshin Tigers, and the country’s twice-annual high school tournament championships. It’s also become a bit of a shopper’s paradise due to its numerous malls. Lying just outside the 23 wards, Inagi has a shocking amount of greenery if your only image of Tokyo is the Shibuya Scramble intersection. It isn’t limited to parks, either, as the town is also where you’ll find the Otsuka Farm. Life in Inagi isn’t completely bucolic, though, as the town also has its own branches of Costco and Ikea. Taking home the top spot is Fujisawa, the coastal city in Kanagawa which includes Enoshima Island. Fujisawa combines the relaxed atmosphere you’d expect from a beach town with extremely convenient public transportation, as a train ride from Enoshima Station to Shinjuku, in the heart of Tokyo, will take you less than 30 minutes. Add in centuries-old temples, colorful local legends about fearsome dragons falling in love with beautiful princesses, and breathtaking sunset views of Mount Fuji, and it’s easy to see why Fujisawa is loved not just by housewives, but by anyone who can appreciate nature, history, or just the relaxing sound of the waves. Any of these towns take your fancy? Do you have first-hand experience living in any of them? Let us know in the comments!